ISD 194, Lakeville Area Public Schools, serves students in Dakota County and Scott County, and covers 86 square miles, including most of Lakeville, parts of Burnsville and Elko, and portions of Eureka, Credit River and New Market Townships. Student population has doubled in the past decade, to over 11,100 students, and is expected to approach 15,000 over the next 20 years. There are nine elementary schools (K-5), three middle schools (6-8) and two high schools (9-12). Our second high school, Lakeville South High School, opened in the 2005-6 school year. The ninth elementary school (Oak Hills Elementary) and third junior high (Century Junior High) were opened for the 1999-2000 school year. All school buildings have had repair or improvement projects recently. All buildings provide instruction for computer literacy, access to technology and the Internet. The district installed a number of technology upgrades, and a fiber optic network. We also offer preschool, ECFE, before and after school care, and general youth and adult classes through Community Education. Offices independantly owned and operated. 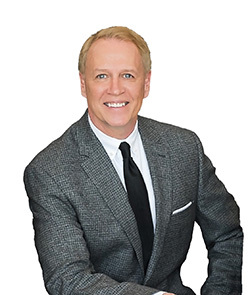 Jeff will use his experience and knowledge of the Twin Cities to help you locate the home that is right for you. View all available Minneapolis Real Estate/ St. Paul Real Estate listings and its surrounding areas.